If you are in the market for a new car, why not look into buying a hybrid vehicle? After all, there are many benefits that come with this energy efficient car. Read on to learn more! According to Statistic Brain, there were 2,180,000 hybrid vehicles sold in the U.S. in 2012 alone. And of that number, 209,216 were Honda Civic Hybrid models. A huge perk of a hybrid vehicle is its low fuel costs. Hybrid cars’ fuel economies, which are the amounts of fuel used per distance traveled, are lower than many standard cars. The car transitions between using both their hybrid battery and fuel, allowing it to conserve fuel. 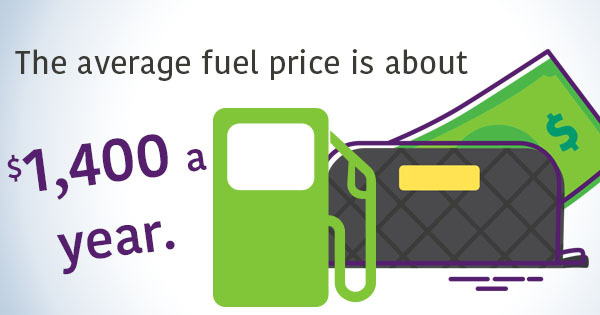 Typically, the average fuel price is about $1,400 a year, which leads to thousands of savings in the long run. Car owners generally get cheaper car insurance quotes just for driving a hybrid car. Of course, these quotes are based around driving history and the insurance company you use, but this is a perk many hybrid car owners receive. Because they run off of an electric power source in addition to fuel, hybrid cars reduce emissions that can be harmful to the environment. By not using fossil fuels, driving a hybrid car will conserve energy and precious resources. Compared to a standard car, driving a hybrid will decrease harmful emissions up to 35% annually, on average. Plus, it is cool to be environmentally hip! Most hybrid car batteries come with an eight-year, 100,000-mile warranty. So you do not have to worry about hefty replacement fees every few years when you drive a hybrid. Depending on the brand, purchasing a hybrid car comes with some tax incentives. On average, this can save a consumer about $3,400 a year in tax breaks. Every time you apply breaks in your car, your hybrid battery recharges a little bit. This internal mechanism captures the energy used when the car breaks, which in turn eliminates the need to take the time to recharge your battery often. Hybrid cars are more than just environmentally friendly cars. So with these benefits in mind, what are you waiting for? Visit a hybrid car dealer today!